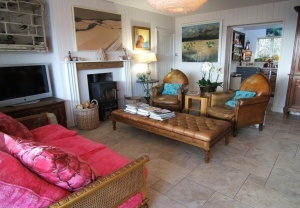 This interesting property was built on the site of the stables in 1952 after the old house was burnt down during the war. 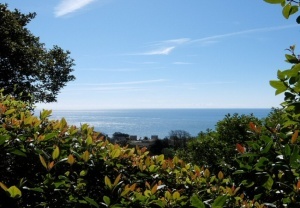 This gives it the best views and gardens in The Pitts, a most desirable location. 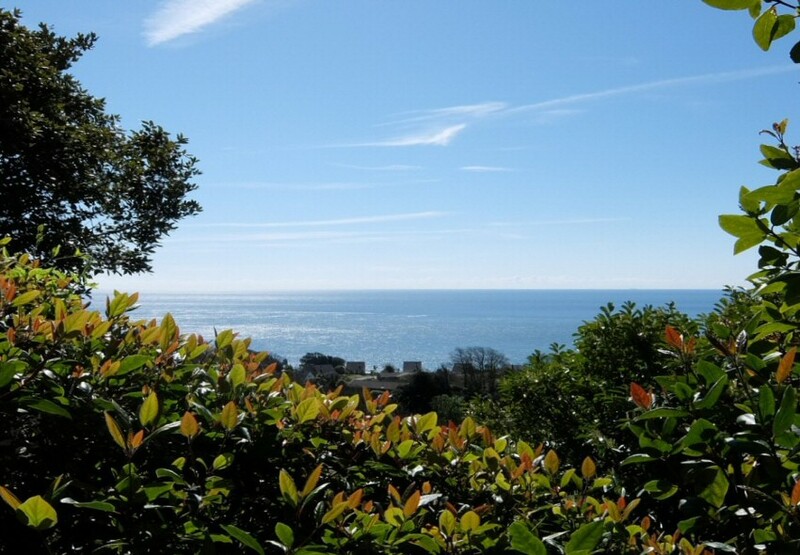 If spectacular sea views, tranquillity, a big night sky with no light pollution, and a private road with very few or no cars going by are important to you, then this property cannot be surpassed. 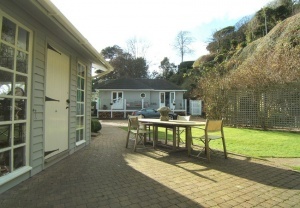 Built on one level, the property has been magnificently brought up to date with a large extension added during the last 7 years. 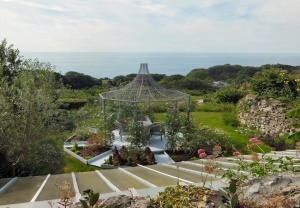 The romantic 150 year old gardens of an acre or so have been lovingly restored during this time with exotic and rare plants giving a flowering season from Spring right up until Christmas. 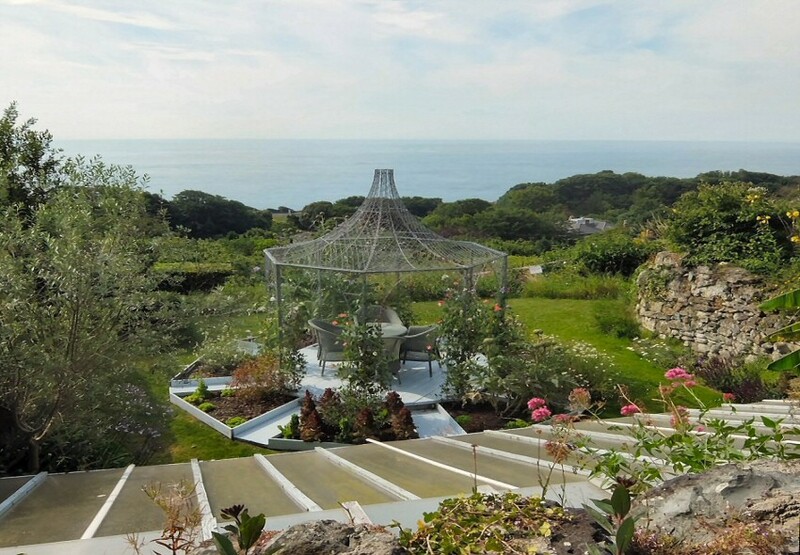 It has been designed so that maintenance can be kept to a minimum if necessary and you can sit under the mulberry tree eating the berries whilst you look out to sea. 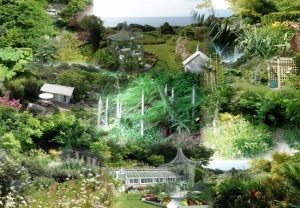 Many people have visited during charity openings and remark that it is the perfect Bonchurch hidden garden. 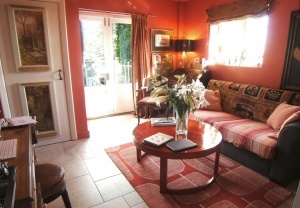 The layout of the house makes the most of the superb outlook across the sea, double doors open onto a 27ft balcony and the bedrooms are arranged along the southern side giving them all open views to the sea. 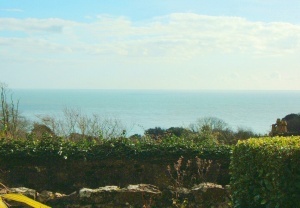 The pretty village of Bonchurch has a highly regarded pub, an ancient 11th century church, picturesque village pond and beaches. 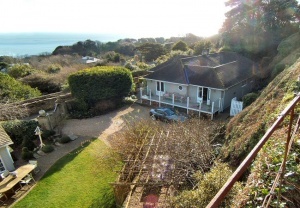 You can walk along the sea wall from Bonchurch to the neighbouring town of Ventnor, with its beach, shops and all amenities. 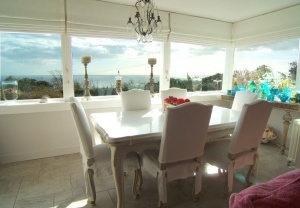 LIVING AND DINING ROOM: 24�X 16�br />With stunning sea views to the front through wraparound wall of windows. Ceramic tiled floor, fireplace with white surround and mantel and wood burner, three radiators and tongue and groove walls. 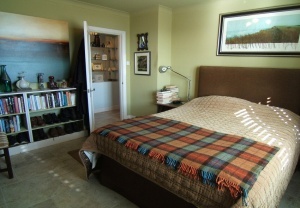 A spectacular double height space with exposed 慉� frame vaulted ceiling. 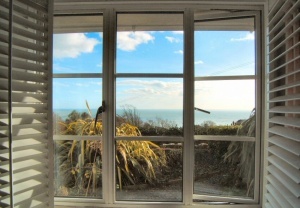 Large window to rear garden, two further velux south facing windows. Double French doors to 27�t x 4�t balcony. 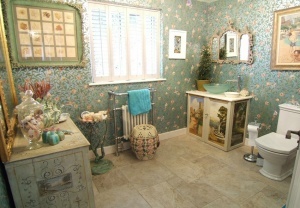 Continuation of ceramic tiled flooring. 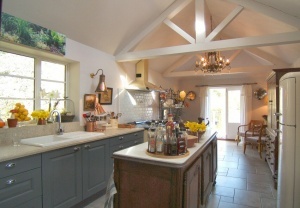 A fitted kitchen with gunmetal grey wood fronted units with Corian work-tops. Ceramic sink and drainer with swan neck mixer tap. 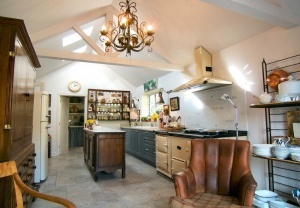 Large programmable electric Aga (can be switched off in summer). Two radiators. Half glazed backdoor to garden, window to rear, ceramic flooring, built-in wall of tall cupboards, kitchen unit with work-tops, stainless steel sink and drainer with swan neck mixer tap. Space and plumbing for dishwasher and washing machine. Space and power for tumble dryer. Vaulted ceiling. 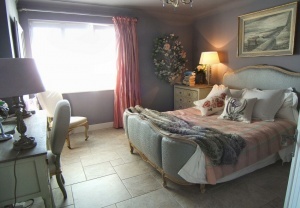 HALLWAY: 17�x 3�br />With linen cupboard and doors to bedrooms, bath and shower rooms. Alcove display case. 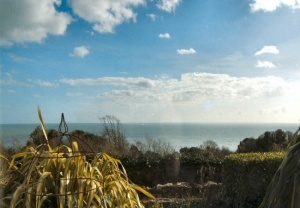 South facing window with lovely sea views. New England style wooden shutters. Built-in wardrobe, radiator. Ceramic tiled floor. BATHROOM: 9�x 7�br />Window to side. 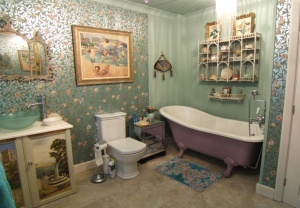 Claw-foot, free-standing bath with antique type mixer tap and telephone style shower attachment. Low level w.c., vanity unit with free-standing glass bowl wash basin and chrome mixer tap. Heated towel rail and wall mounted heater. 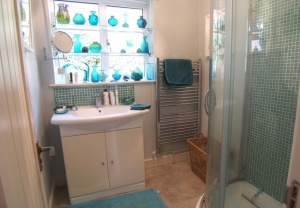 SHOWER ROOM: 6�x 5�br />Window to rear garden. Large shower corner unit with curved doors, mosaic tiles, giant shower rose and concealed fittings. Vanity unit with white ceramic wash hand basin and mixer tap and tiled splash-back. Ladder style chrome heated towel rail. Ceramic tiled floor. 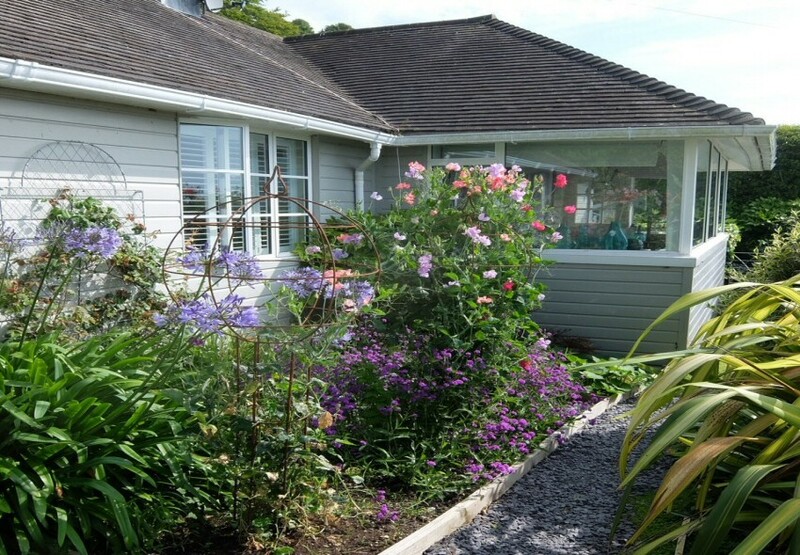 EN-SUITE SHOWER ROOM: 10� x 3�br />Porthole window, shower cubicle, vanity unit with basin, low level w.c.
GARDEN ANNEXE: Main room: 11�x 11�plus kitchenette: 9�x 5�and w.c. 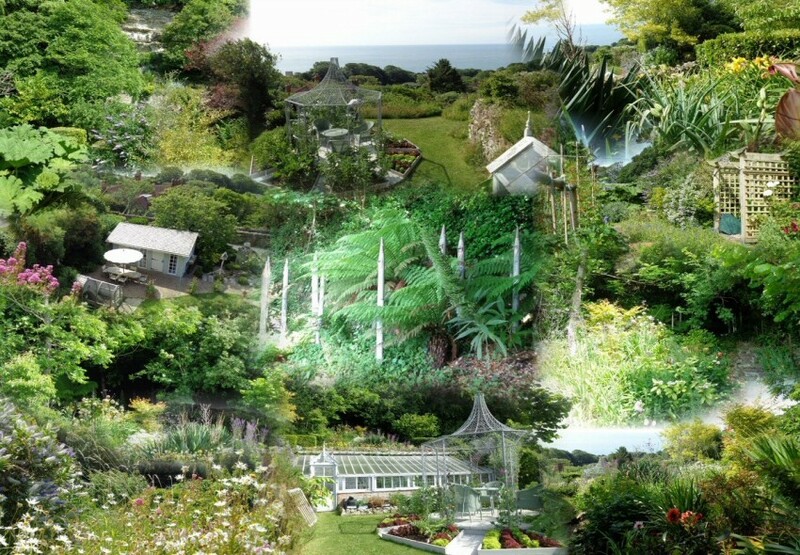 The gardens are very special at 慠osemount� and need to be explored to be truly appreciated. 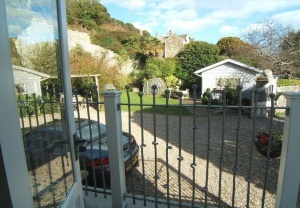 There are various outbuildings and stunning sea views.